Learning Spanish Language is not an easy work. It requires time, money and desire. You must search an academy or a teacher, achieve coordination with them, or worse, adapt your own time to their class times. You also have to pay the high fees, month to month, and what is even more annoying is this: you will probably have to go to a special place in order to practice the new language! The ABC course on Spanish Language is the solution to this problem. It is a course of 80 pages. It is not only going to teach you the basics of Spanish Language, furthermore, you can learn Spanish WHEN you want, and more important, WHERE you want (It could even be at your home!). 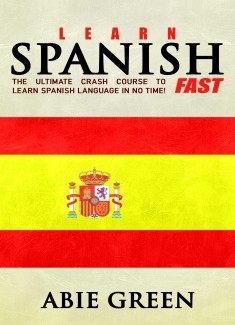 Have you ever invested a lot of money in Spanish books but you haven't had good results Okay, I'm here to give you the solution. I've read a lot of bad books about learn a new language. Some of those book authors don´t want to teach you anything, what they actually want is to make money out of you. That´s the reason why I wrote this course, is to teach YOU step by step the Spanish Language extremely quickly! Just for ,99, this is a no-brainer! This book will allow you to practice, learn and deepen your knowledge of Spanish as a new language in an entertaining, interactive, autonomous and flexible course. Stop procrastinating and start NOW! Learning the Spanish Language is something that is a really worth investing time. The ABC of Spanish Language is now available in Bubok! Crash it!